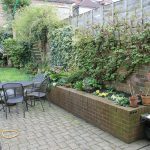 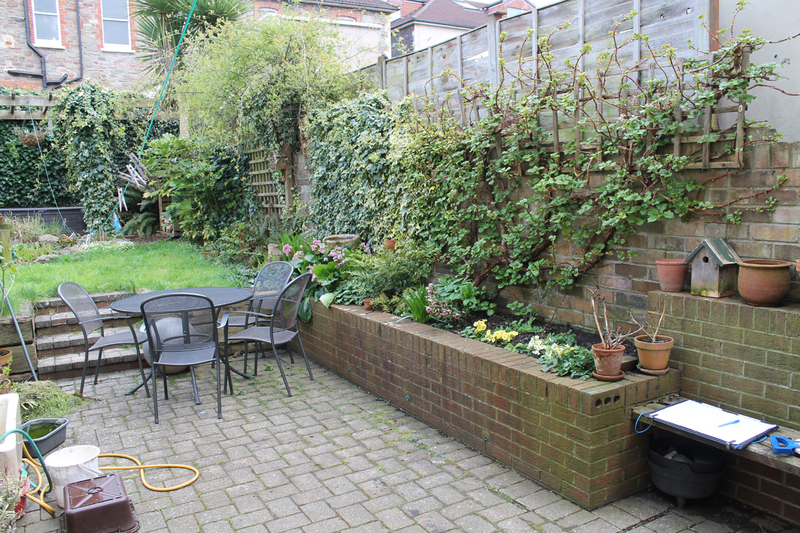 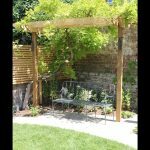 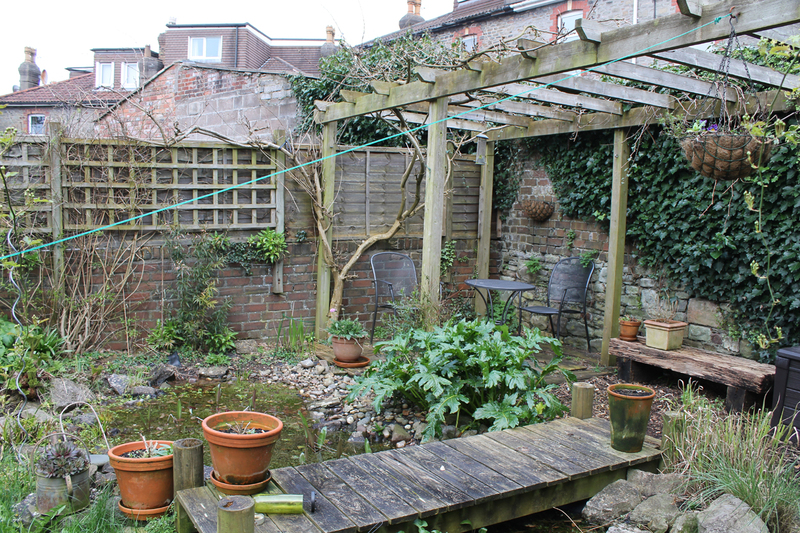 A small city back garden on two levels required remodelling to accommodate a new rear extension. 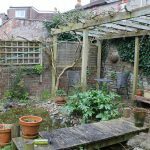 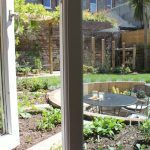 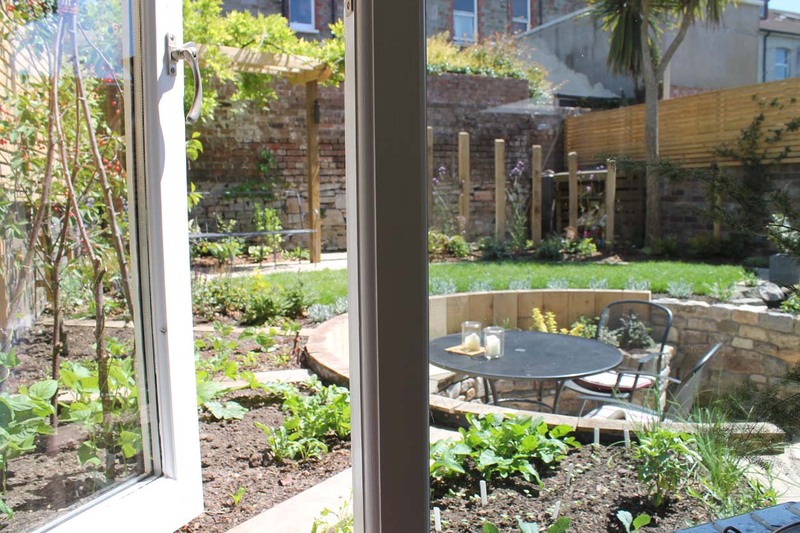 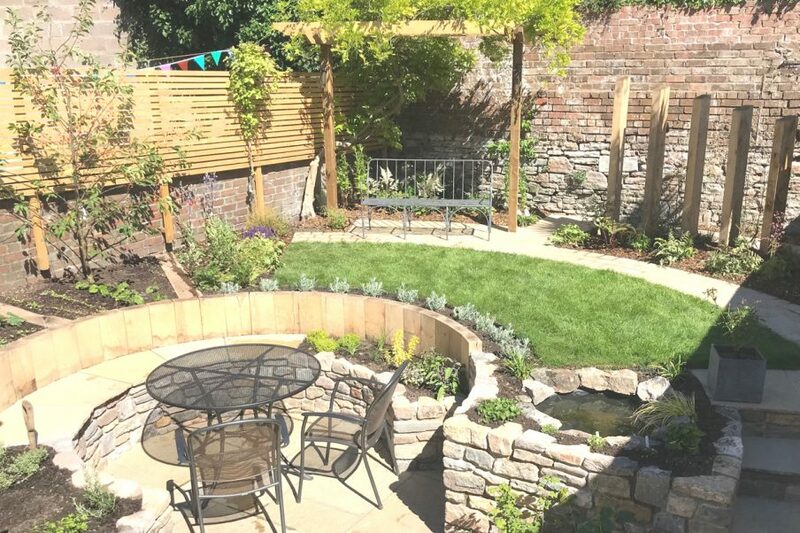 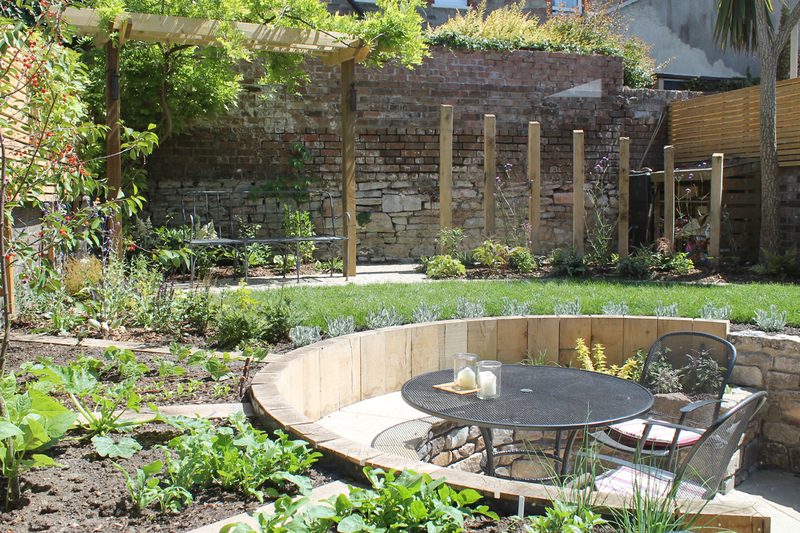 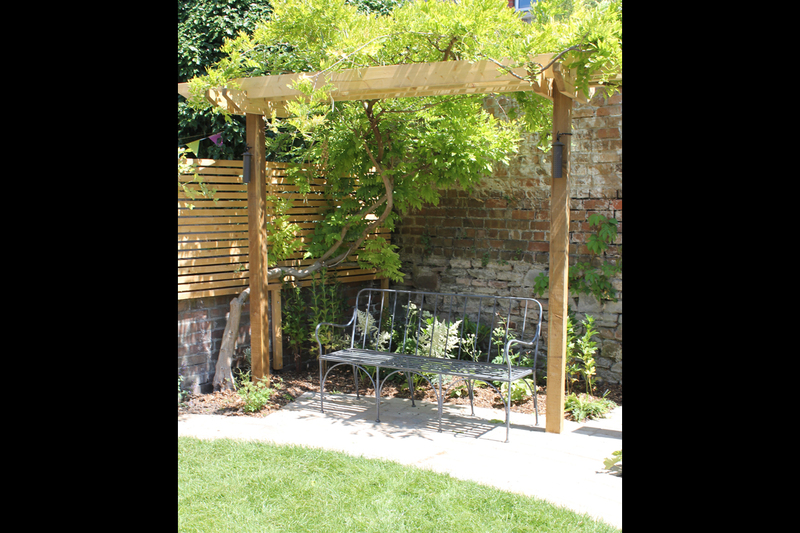 Although the footprint of the extension wasn’t large, the impact on the garden was significant. 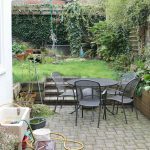 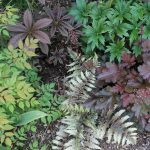 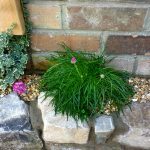 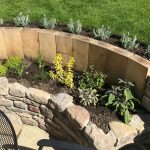 The existing garden had served the family well, but the now children had grown up the garden needed to serve a different purpose. 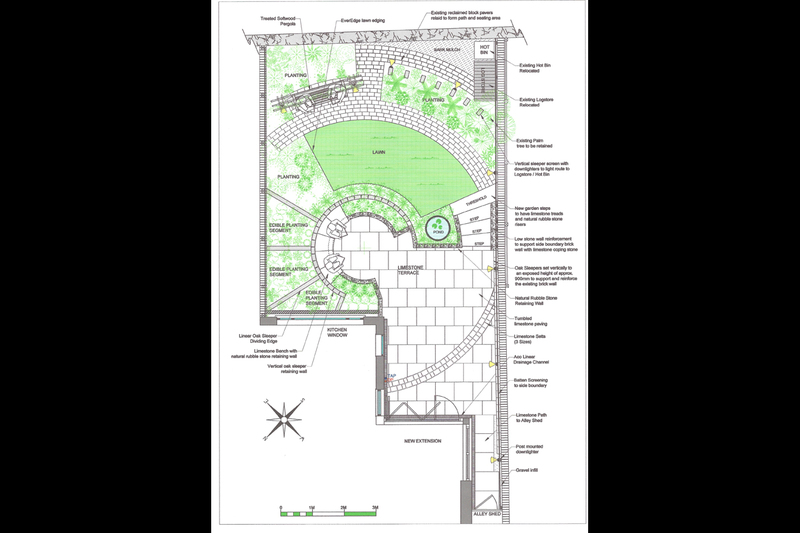 The design solution moves the focus of the garden to the centre of the space, requiring a chunk of ground to be excavated to allow the whole garden to be viewed from one location. 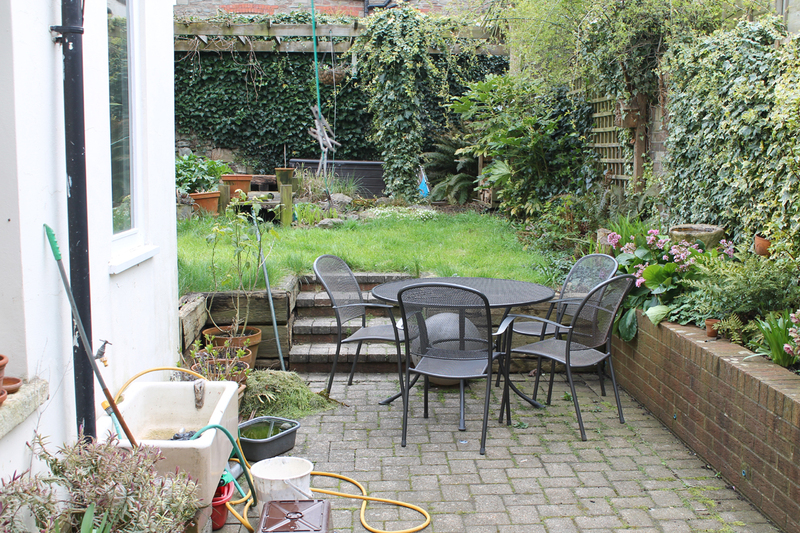 The entire garden is set out from this central point, all the arcs and features radiating from this one location. 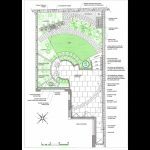 The aim is to visually challenge the rectangular footprint of the plot and give the impression of a garden that extends beyond its boundaries. 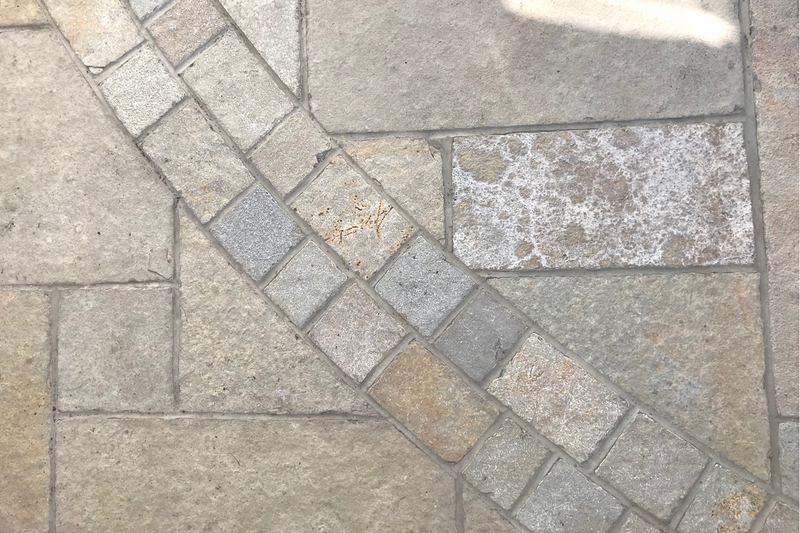 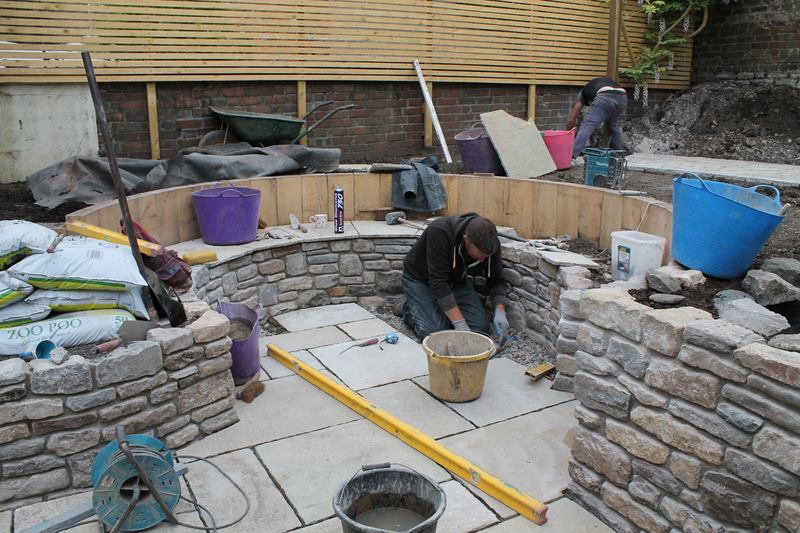 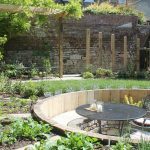 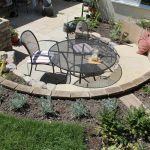 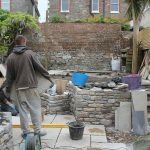 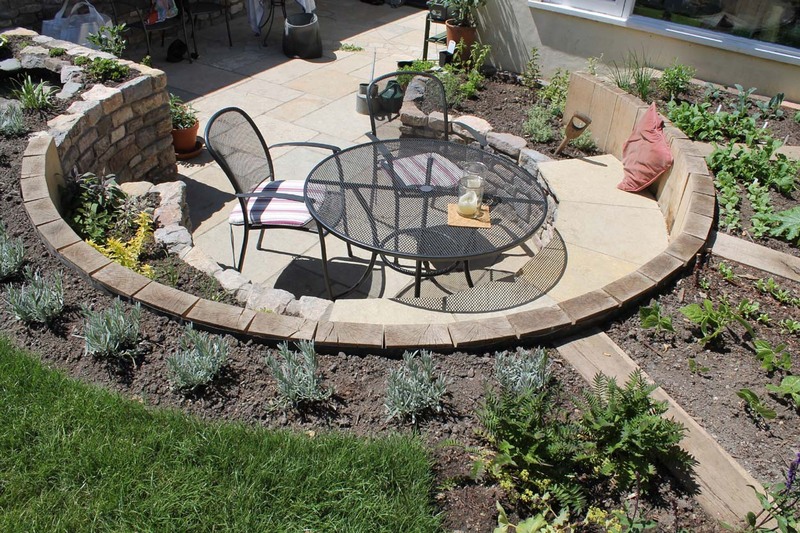 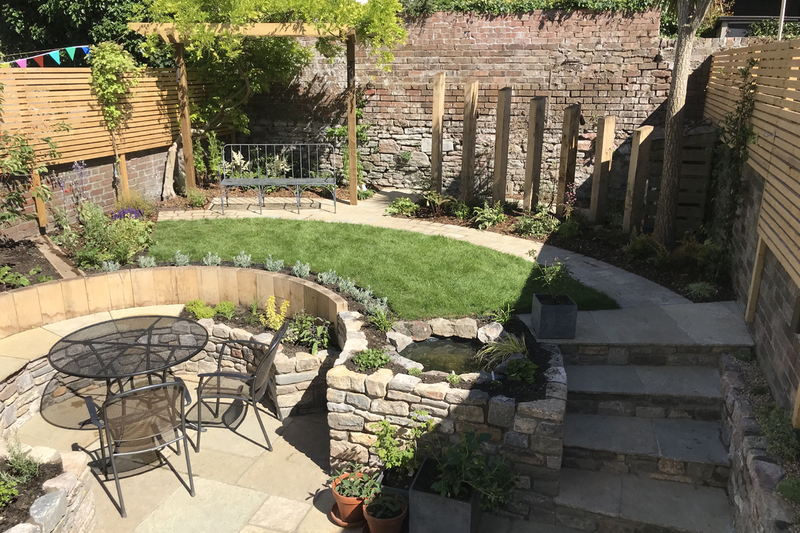 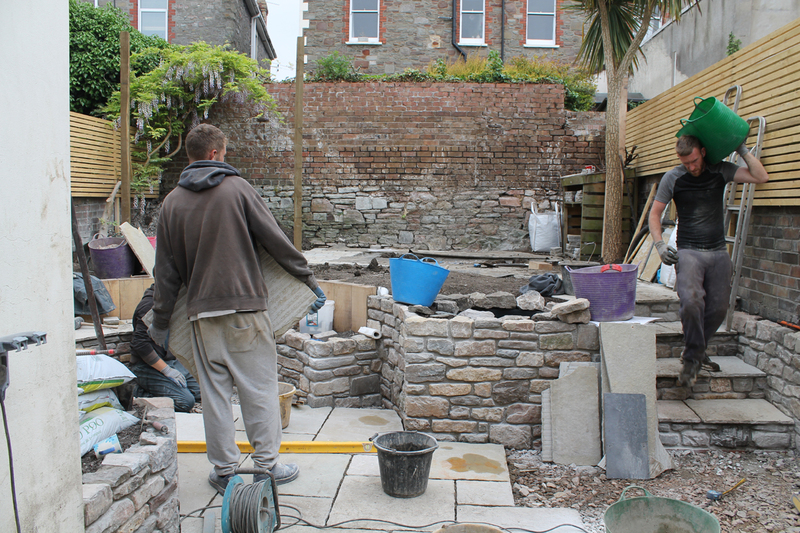 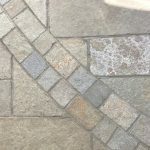 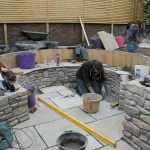 The curved stone seat faces south west and doubles as a raised path to access the vegetable area behind. 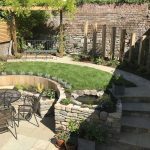 A small arc of lawn allows for lazy summer sun bathing and is bordered by a curved path leading to a bench placed to capture the last of the evening sun. 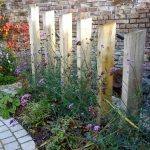 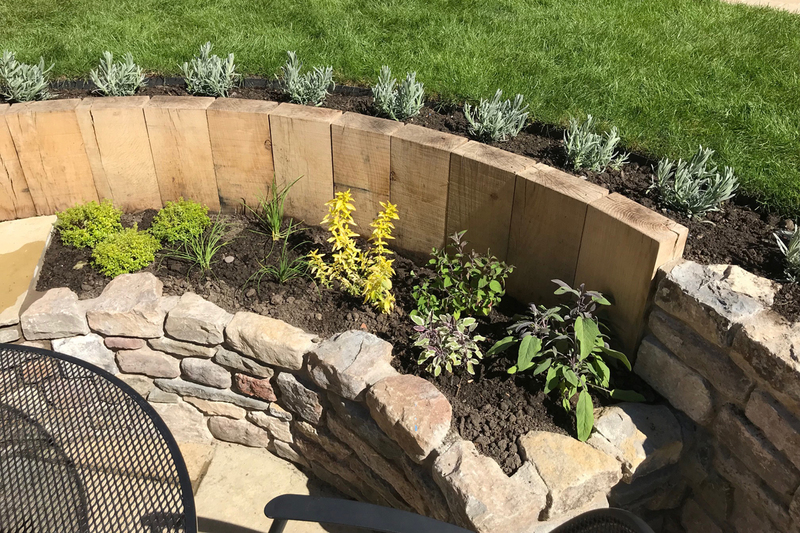 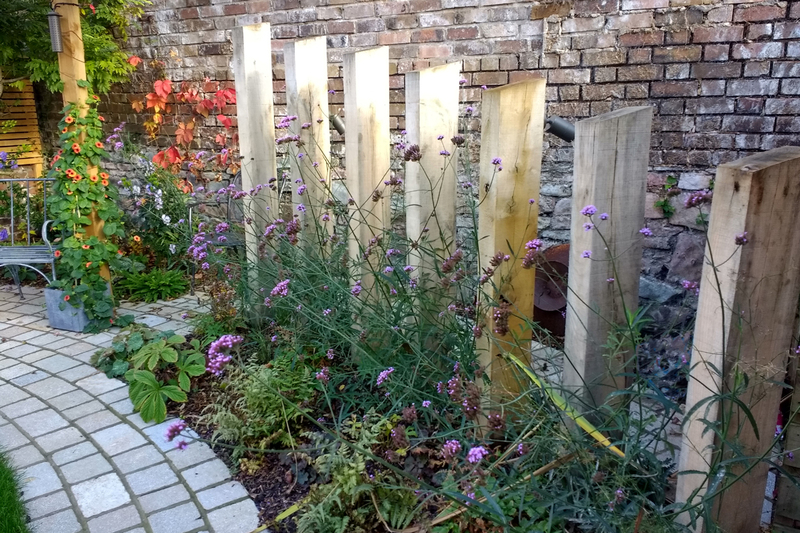 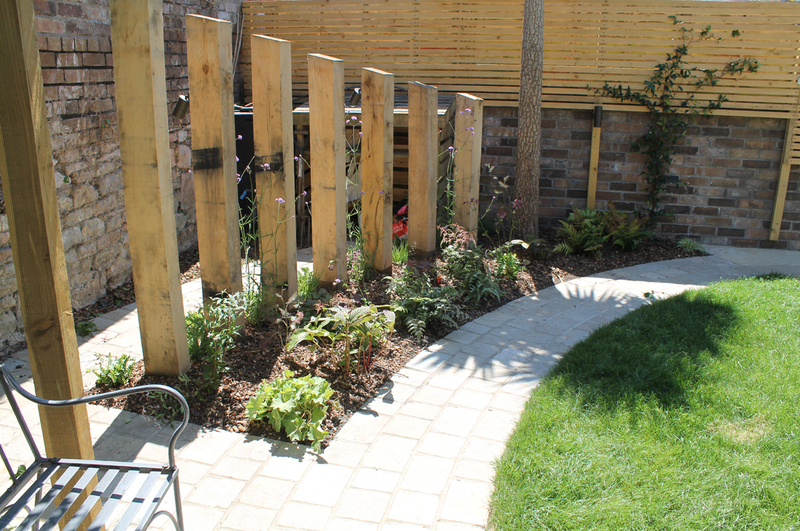 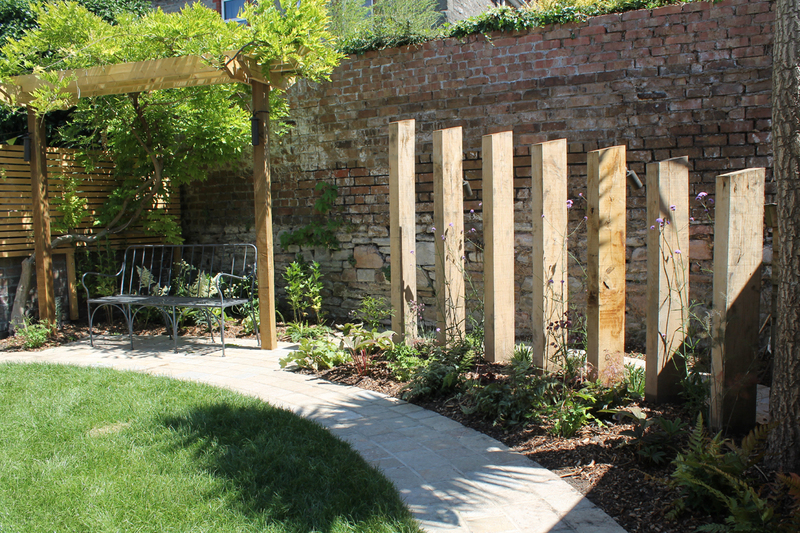 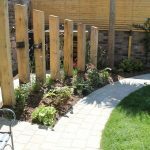 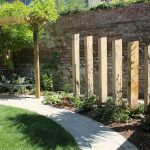 A second path allows access to a utility area which is screened by planting and a series of monolithic vertical sleepers set within. 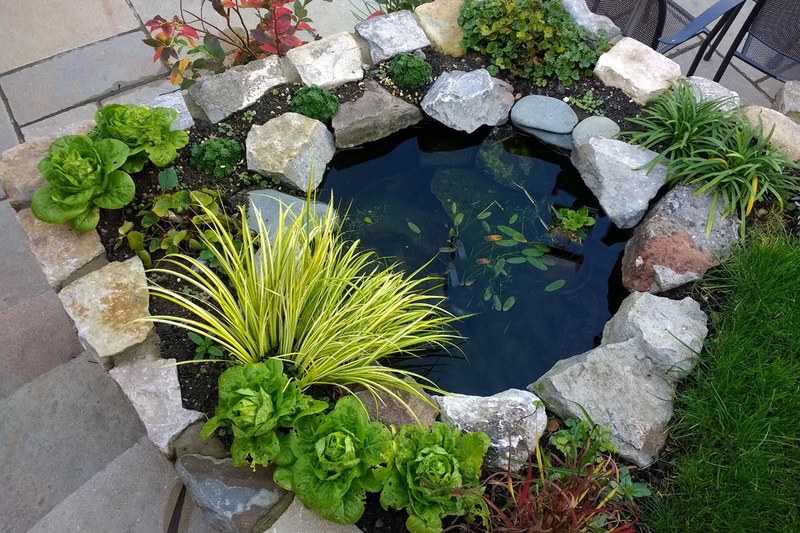 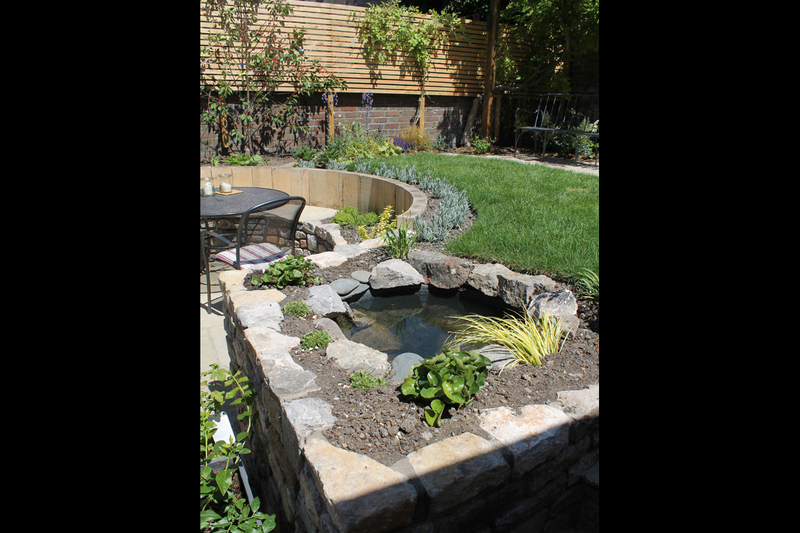 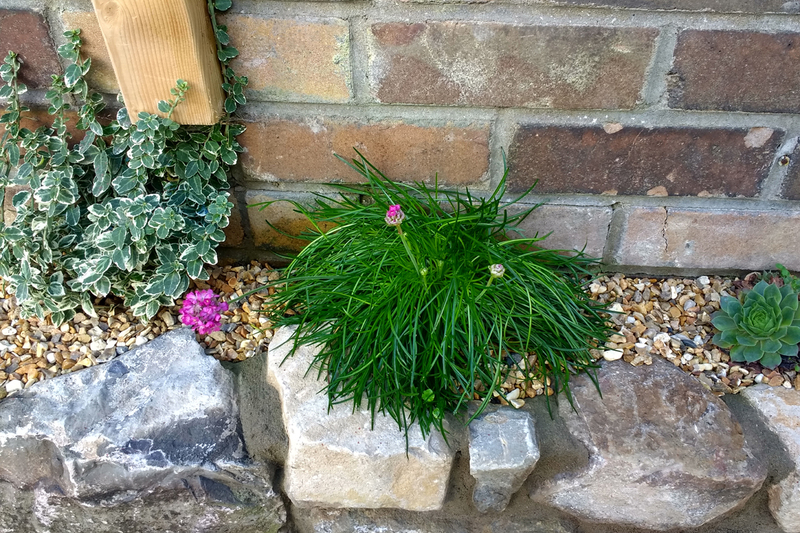 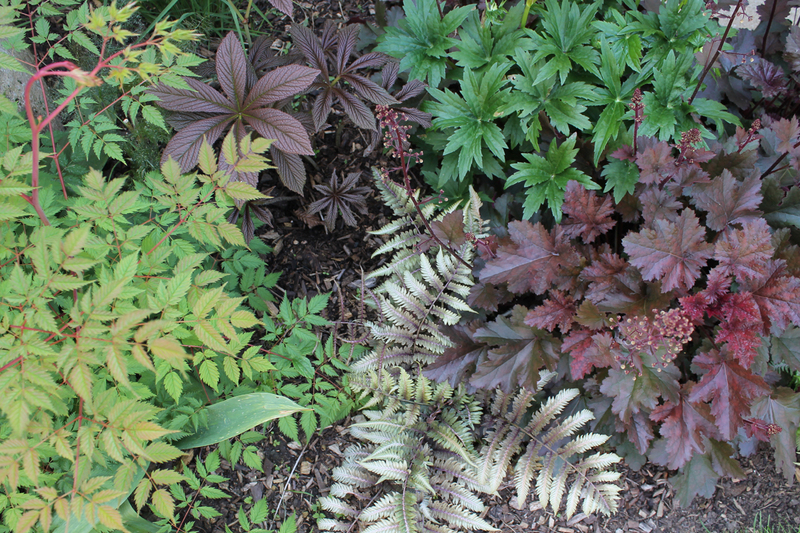 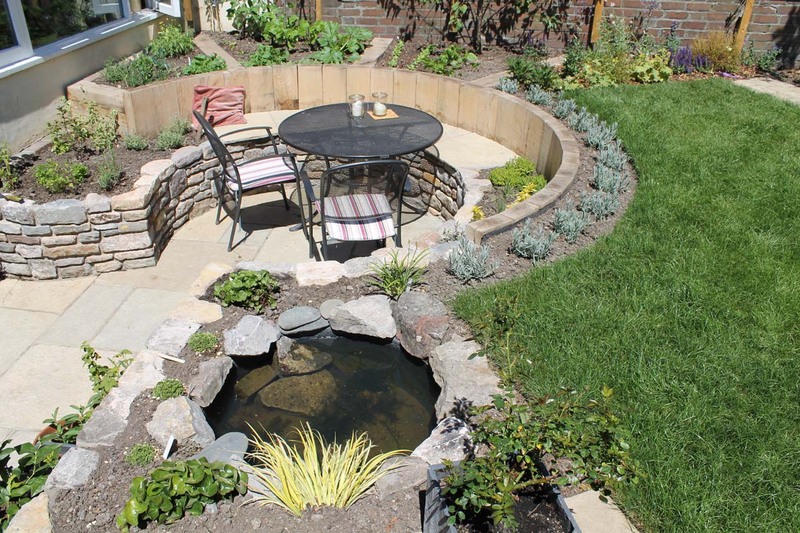 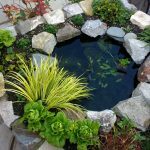 Urban Oasis?………spot the mini circular pond set within the planting!